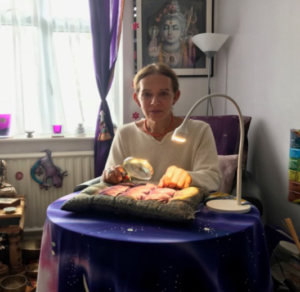 Gary is a world renowned third generation Palmist/Hand Analyst from London with over twenty years’ experience with palm reading. He is a well-known international celebrity palm reader, and has read the hands of thousands of people worldwide. He has appeared on BBC TV, Sky TV, BBC Radio, Virgin Radio, magazines, and national and local newspapers and in the News of the World, reading Barack Obama’s handprint before his electoral campaign. Gary holds a high position in the top 100 Palmistry websites in the world. Gary is a Consultant Member and Assessor for the British Astrological and Psychic Society.